Laurie R. King is one of the finest mystery writers around, the author of 22 novels including The Beekeeper’s Apprentice, named one of the 20th century’s best crime novels by the Independent Mystery Booksellers Association. Her most recent novel is this year’s Dreaming Spies. I photographed Laurie last month in Monterey, CA. To learn more about her and her work, click here. Providence Rag is the third novel in my Edgar Award-winning series featuring Liam Mulligan, an investigative reporter at a dying Providence, R.I. newspaper. The book is available in hardcover, e-book, and audio editions here. This entry was posted in Uncategorized and tagged Beekeeper's Apprentice, Bruce DeSilva, Dreaming Spies, edgar award, investigative reporter, Laurie King, Laurie R. King, Liam Mulligan, mystery writers, New York Times Best seller, newspaper, Providence, Providence Rag, Rhode Island. Bookmark the permalink. 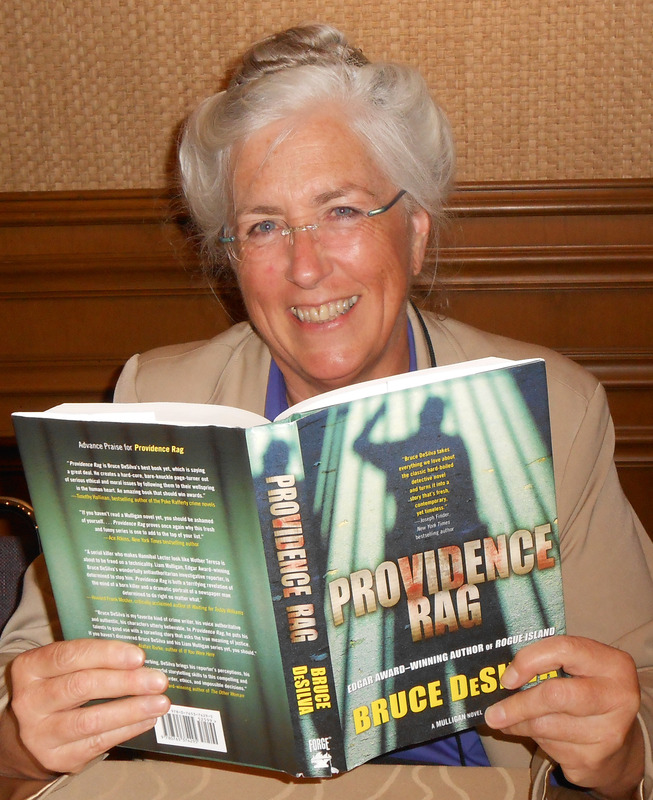 1 Response to Who’s Reading “Providence Rag” Now? It’s NY Times Best-Selling Mystery Writer Laurie R. King. Reblogged this on Author Joshua Lisec.